Missing Malaysia Airlines flight MH370 changed direction at least 12 minutes before its co-pilot signed off, sources told NBC News. The diversion was based on a programming command to the plane’s cockpit computer used to guide the flight plan. The direction change occurred prior to co-pilot Fariq Abdul Hamid saying, “All right, good night,” to air traffic controllers, the sources said. If true, the theory supports the belief of investigators – first voiced by Malaysian officials – that the flight was deliberately diverted. The New York Times reported as much late on Monday, adding that it was not clear whether the system was reprogrammed before or after takeoff. Yet for a Flight Management System (FMS) to contain multiple flight routes is routine, NBC News analyst Greg Feith said. "Some pilots program an alternate flight plan in the event of an emergency," said Feith, a former US National Transportation Safety Board crash investigator. "We don't know if this was an alternate plan to go back to Kuala Lumpur or if this was to take the plane from some place other than Beijing," where the flight was due land, Feith said. The plane was last detected by Malaysian military radar in the Strait of Malacca, south of Phuket Island, Thailand, hundreds of miles off course. 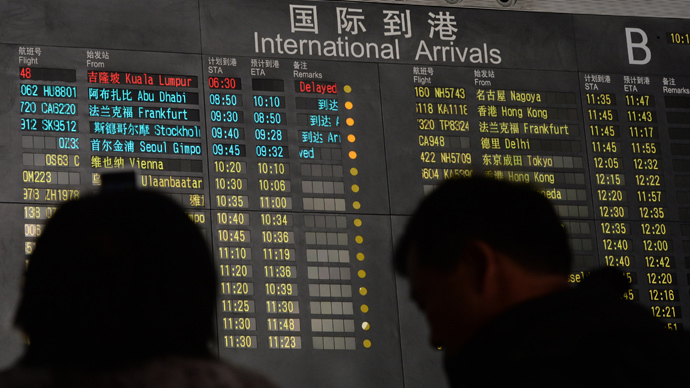 Navigational instructions logged in the FMS changed the plane’s path, according to reports. The FMS transmits data to the Aircraft Communications Addressing and Reporting System (ACARS) that in turn sends information to the airline. Malaysian officials believe MH370’s ACARS was still functioning when the plane’s co-pilot spoke the last words heard by ground control. Yet MH370’s ACARS lost function around the same time that oral radio contact was cut off and as the airplane’s transponder halted, the Times reported. Investigators are combing over radar tapes from MH370’s departure, believing the recordings would show that after the plane changed its path, it went through several pre-ordained “waypoints,” or markers in the sky. That would implicate that a knowledgeable pilot was controlling MH370 as it went through those points, as passing through them without a computer is not likely. 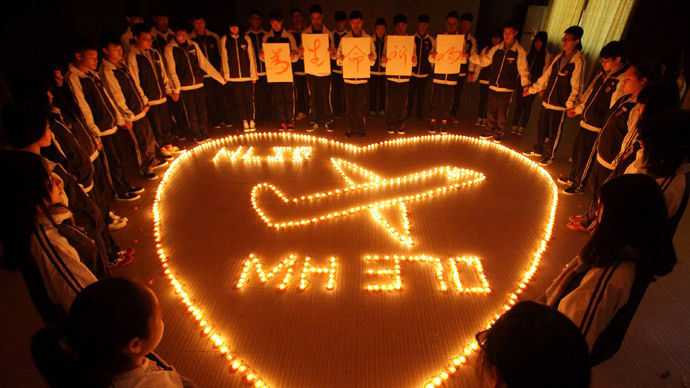 Meanwhile, in a press briefing on Tuesday that included little new information on the missing flight, Malaysian authorities said search efforts continue. They defended their handling of search operations, as some missing passengers’ relatives have threatened to take part in a hunger strike for more information. 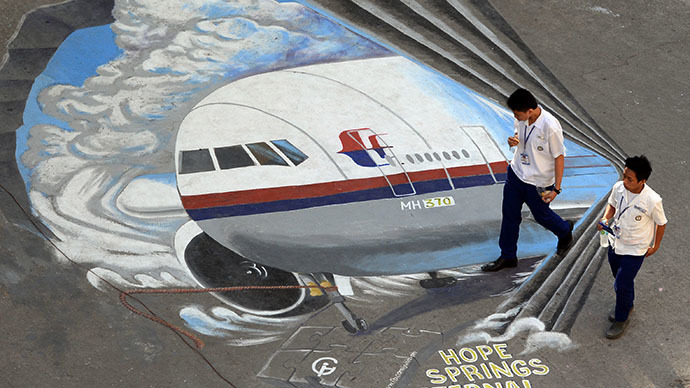 “We are doing all that we can to ensure that we are giving sufficient assistance, information and care to all the family members in Beijing,” said Ahmad Jauhari Yahya, chief executive of Malaysia Airlines. 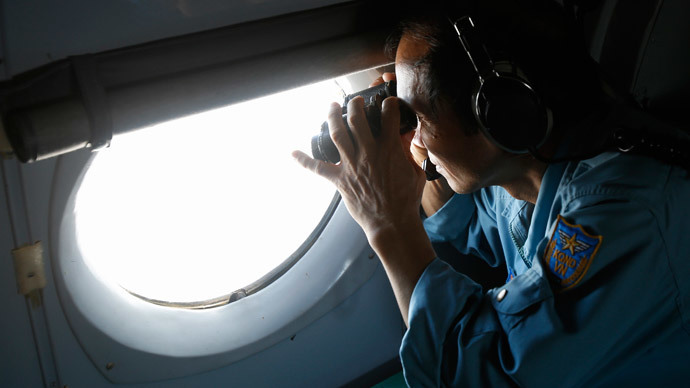 Malaysian government officials asked the countries assisting in the search, including China and the US, to recheck their radars for any more information. “The only one out in the open is Malaysia,” acting transport minister Hishamuddin Hussein told reporters on Tuesday, suggesting that Malaysia has been the most transparent in the search.